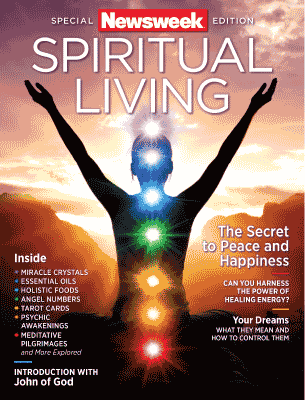 Kim was interviewed by Newsweek Magazine for their Spiritual Living Special Edition. The article is called The Spirit Awakens and appears on pages 88 – 91. To live a spiritual life is to be better connected with the universe around you. This 100-page, special edition of Newsweek is your guide for all things metaphysical, from focusing the mind for meditation through yoga and more, to healing the body with crystals and essential oils. Featuring insight from notable names in the spiritual sphere including Gail Thackray, William Lee Rand and Brad Johnson, this is the issue for anyone looking to awaken their soul.